"Hello, My Name is Alex and I'm the founder of Prestige Playing Cards Company. I'm passionate about playing cards since I was a very young so I founded Prestige Playing Cards in 2017 to bring my creative vision to this market. Our team is comprised of one artist and one illustrator and we put our hearts and souls into every single drawing. We hope to inspire you and bring you wonder. Welcome to our world." Since the beginning of times, the art of magic has been present in society. For the past 5000 years, magic has evolved, progressed and captured the attention of millions of people around the world. All it takes is practice, knowledge and time, but the tools you have at your disposal also play a huge role. After all, the hand is faster than the eye... 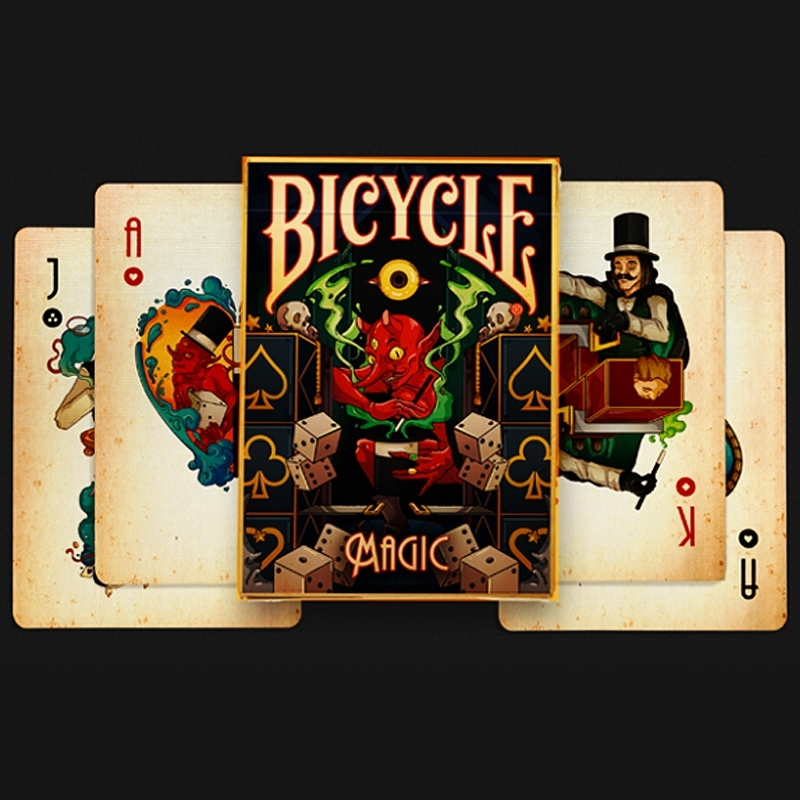 The Bicycle Magic has been manufactured by the legendary United States Playing Card Company, who have been supplying magicians with beautiful playing cards for decades. The high-quality stock will ensure your shuffling and performance improves, while the robustness will guarantee they'll withstand constant use for a long time. - 56 custom playing cards. - Standard tuck box. - Includes 2 gaff cards. - 4000 decks print run. - Printed in the USA by US Playing Card Company. • The cards are poker size and of the usual Bicycle quality. Αυτό το προϊόν προστέθηκε στον κατάλογό μας την Friday 16 November, 2018.